MINNEAPOLIS, July 12, 2012 /Canada NewsWire/ - Target Corporation is pleased to announce today a confirmed list of the stores that it intends to open across Canada in 2013. As previously announced, Target selected the leasehold interests of sites across the country operated by Zellers Inc., with plans to open 125 to 135 stores in Canada starting in March/April 2013. Today's announcement confirms the first 125 stores that will open in 2013, and later this year Target will confirm additional store locations that will open starting in early 2014 and beyond. Since the beginning of this year, Target has been publically confirming the Zellers sites that it intends to convert into Target stores for 2013. In addition to these previously announced locations, Target will also open a store on Morrison Street in Niagara Falls, Ontario, and Centre Laval in Laval, Quebec, both of which are scheduled to open next year. "Construction has already begun on our first set of stores and we are excited to see the transformation as the Target brand comes to life in Canada," said Tony Fisher, president of Target Canada. "We have stores spanning from coast-to-coast and we can't wait to open our doors in Canada and deliver on our Expect More. Pay Less. brand promise." Each site will be closed for a period of six to nine months for extensive renovations to bring the true Target brand experience to Canada. An investment of more than $10 million will be spent remodeling each location. 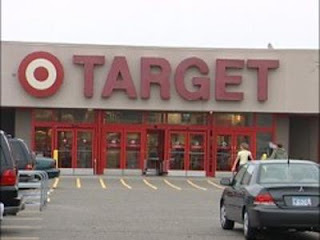 Target expects to employ between 150 to 200 team members at each store and has already started hiring its store leadership positions. Hourly recruitment will begin towards the end of 2012 and into 2013. Anyone interested in a job at Target is invited to visit target.ca/careers for more information. 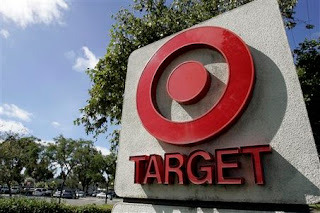 Minneapolis-based Target Corporation (NYSE:TGT) serves guests at 1,764 stores across the United States and at Target.com. The company plans to open its first stores in Canada in 2013. In addition, the company operates a credit card segment that offers branded proprietary credit card products. Since 1946, Target has given 5 percent of its income through community grants and programs; today, that giving equals more than $3 million a week. For more information about Target's commitment to corporate responsibility, visit Target.com/hereforgood.